Phil Crews Septic Services are well qualified in servicing your septic system and answering any questions you may have about maintaining it. 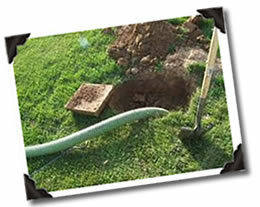 We will pump your septic tank and inspect it to make sure it is functioning properly. Phil Crews Septic Services will even send you a reminder when it is time to service your septic system again. Why Do You Need to Pump your Septic Tank? Septic tank pumping is necessary and vital maintenance to keep your septic system running properly. Phil Crews Septic offers comprehensive and affordable residential and commercial septic tank pumping to customers in the Birmingham area. Experts recommend having your septic tank pumped every 3 to 5 years to maintain a healthy balance in your septic system. Septic systems and septic tanks vary in size and the amount of use they receive. We can help you will determine how often you need your septic tank pumped, depending on the size of your tank and the number of people using your system. Call Phil Crews Septic and schedule a septic tank pumping appointment today.